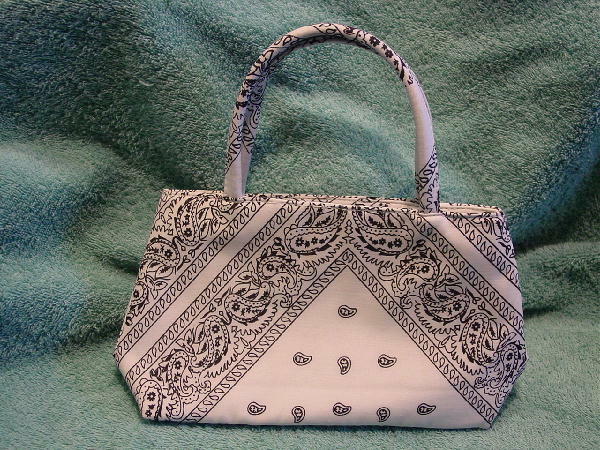 This never used fabric purse (feels like a synthetic) has a white background with paisleys and a line design in black. There is a top side to side zipper and a black acetate lining with a zippered interior pocket. There are two 11" handles.